You have no idea how many times this place came up during my planning for my Taipei trip. 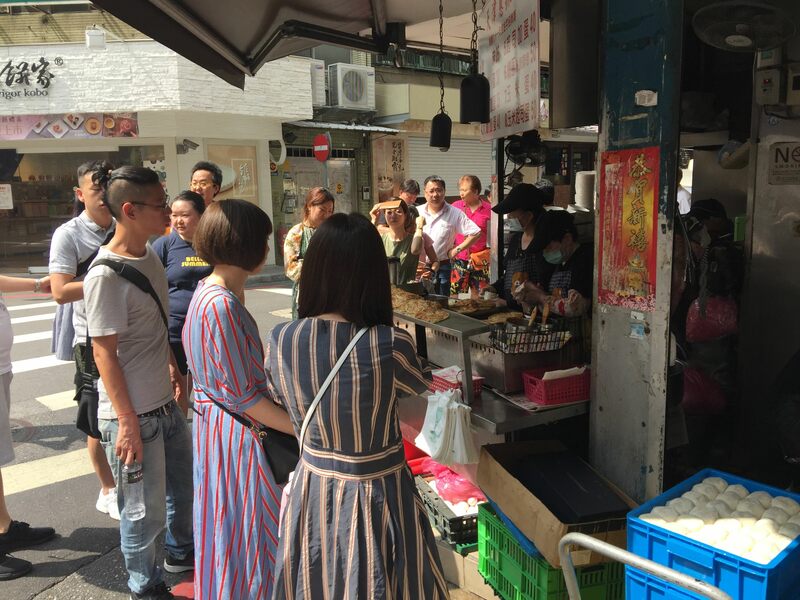 Tian Jin Flaky Scallion Pancakes is a legendary street food store on Yong Kang Street, near Dongmen station. 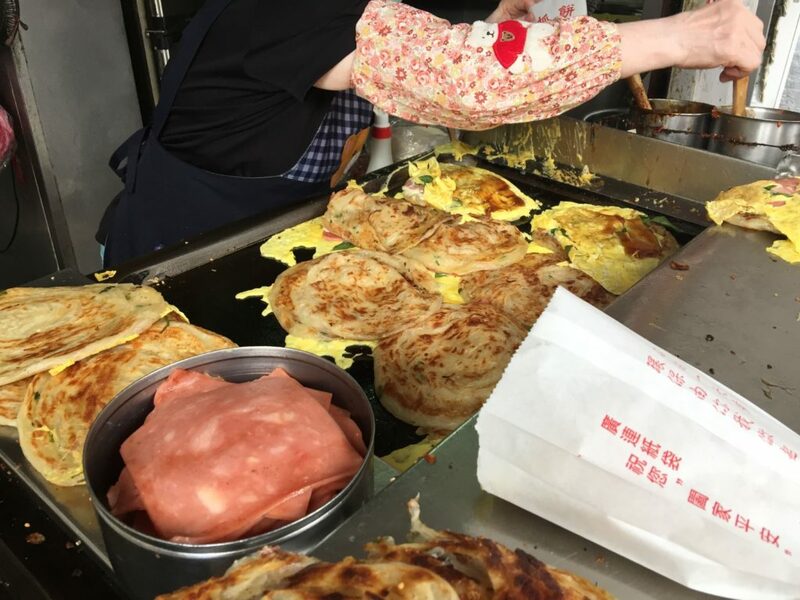 Scallion Pancakes are a little like the roti prata in Singapore with loads of spring onion fried into it. I went down one fine morning. There was a sizable queue of about 12 people ahead of me. It took about 20 minutes. And the queue stayed the same length all the while. While queueing, you can see the “aunties” make it right in front of you. One grill is used to fry the pancakes themselves and the other to add the toppings upon order. 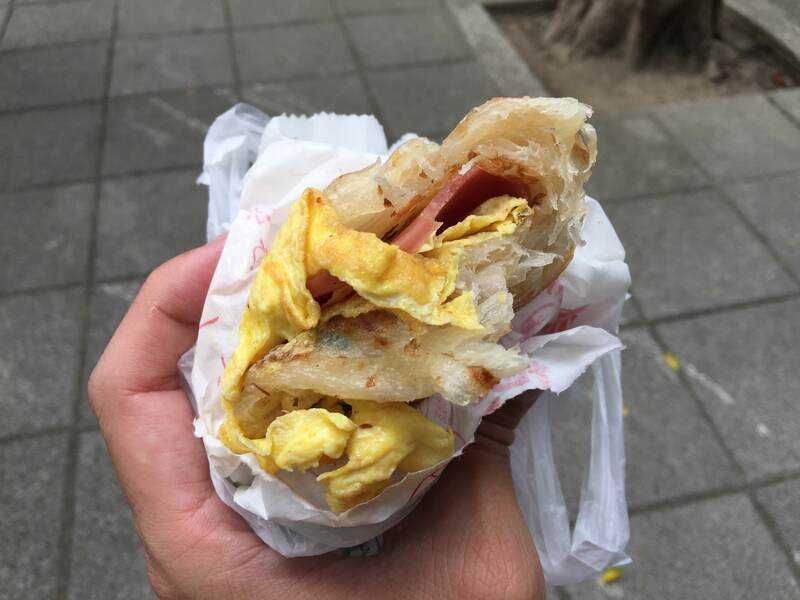 You can choose the original or with egg, ham, basil leaves, cheese or even one with everything in it. You can choose if you want a spicy sauce added for an extra kick. Before adding the toppings, the auntie will fluff up the pancakes to make it extra crispy. This place is take away only but there is a nice little park nearby that you can eat at. I ordered one with everything and one with ham. 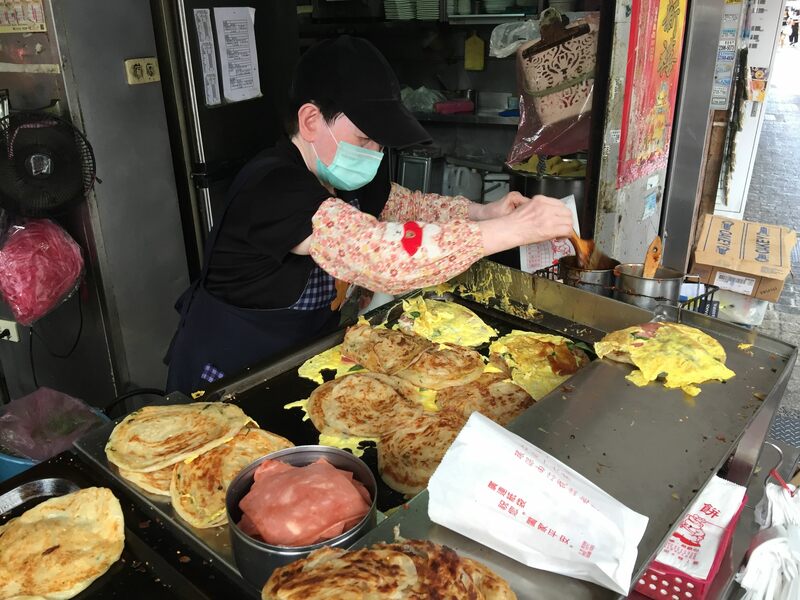 It was piping hot when you get them so consider walking around the Dongmen area before eating it. For my first meal, it was heavy but satisfying. It was greasy, which is not surprising looking at the amount of oil being sprayed onto the grill, but the pancakes remained flaky. The great taste and low prices is a reason this place has a cult following. I definitely recommend anyone new to Taipei street food to pay this a visit. Bring an umbrella in case of random showers or the hot sun as where you queue isn’t sheltered. Trying the most expensive coffee in the world. The best beef noodles so far.